The Crouse mission is to provide the best in patient care and to promote community health. Recently, Neurosurgery Physician Assistant Keith Schults did just that, tending to the needs of a patient’s family. 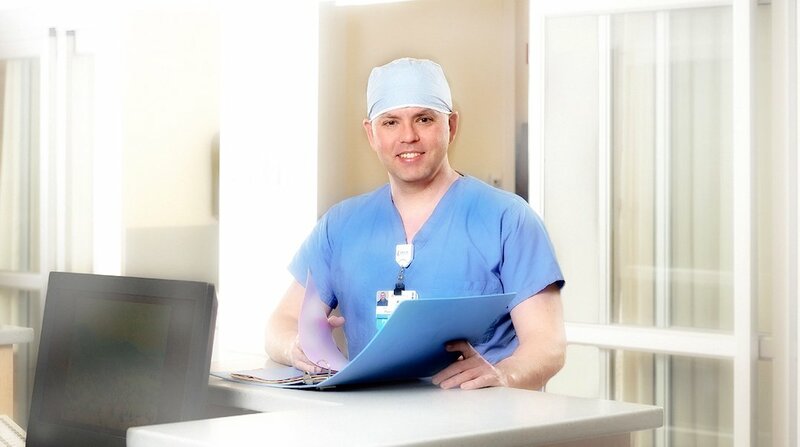 “I took care of a patient who was no longer under the service of neurosurgery. That night, family members came to visit from out of town and had multiple questions regarding their loved one’s plan of care. Though the patient was no longer managed primarily by neurosurgery, I contacted Keith and within minutes he came down to the ICU to provide clarification for the patient’s very emotional family. He discussed in detail the pathophysiology of an ischemic stroke, as well as the treatment plan. He also explained the legalities of an appointed health care proxy and educated the family about the hospital’s role in regard to assisting with the facilitation of extended services, such as palliative medicine and social work. Keith was extremely knowledgeable, empathetic and supportive towards this patient’s family. The care and attention I received was wonderful, from the security officers who were helpful and pleasant to the ER doctors that took excellent care of me. You can be proud of the way everyone performed…housekeepers, nurses, ER staff, doctors and all the technicians I encountered. Even the responsiveness of the food preparation unit was impressive, and the food was good!